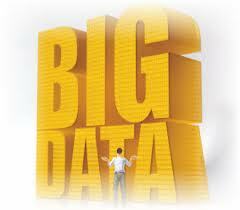 2013 may be the year people start to see the true impact of Big Data on their lives. We have seen the growth of Big Data across all sectors of business, specifically mobile and social media platforms. A recent survey shows that 87% of the world’s population has a mobile subscription. With that, we see approximately 400 million tweets a day, with 84 million of those “tweeps” accessing from mobile platforms. This has significant impact on all business operations, worldwide, as their customers and consumers use these platforms as their preferred method of accessing their favorite brands. The idea of Big Data has been around a while, but with the new technology, we can collect and analyze unimaginable amounts of the data being generated. Without the proper handling and strategies of Big Data and the chief data scientists, business would flounder responding to the highly mobile consumer. How We Vote: Obama ran a successful grassroots campaign with his biggest weapon being Big Data. How We Study: Student data will be analyzed to trend performance, participation and activity. Not to mention managing the tidal wave of on-line learning. How We Stay Healthy: Healthcare initiative and Obama-care will demand effective Big Data management to provide appropriate care. Electronic Medical Records are a fact and they are here to stay. How We Spend: Retailers know your every habit and move in their space and the internet as a whole. They want to understand what your preferences are and how to get you to spend with them. How We Keep or Lose Your Privacy: We want to find balance in the proper use of Big Data and respecting individual privacy. Overall, all of those “tweeps” are still willing to share their data. Consumers will see clearly the impact of Big Data in 2013. Business has been honing and perfecting their Big Data strategies. This year, we will start clearly seeing the results of their strategies and efforts with Big Data. With so many of us accessing Big Data on their mobile platforms, we will be amazed at the attractions and benefits offered by businesses eager to gain your trust… and money.